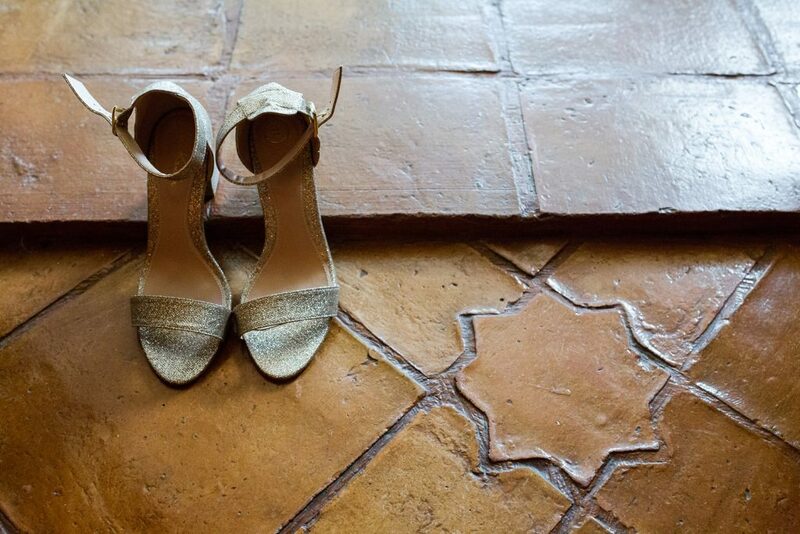 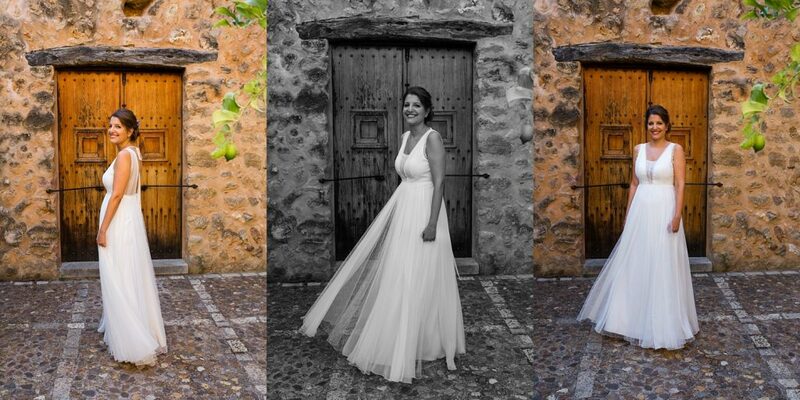 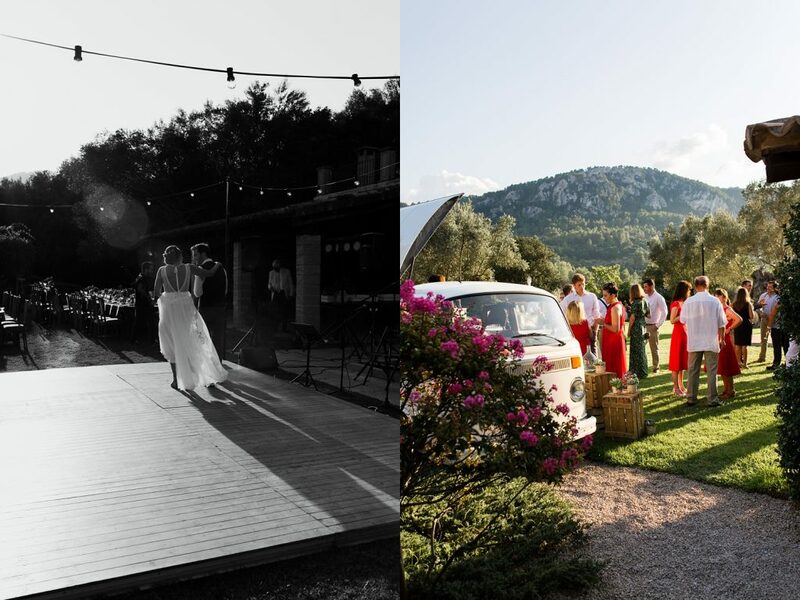 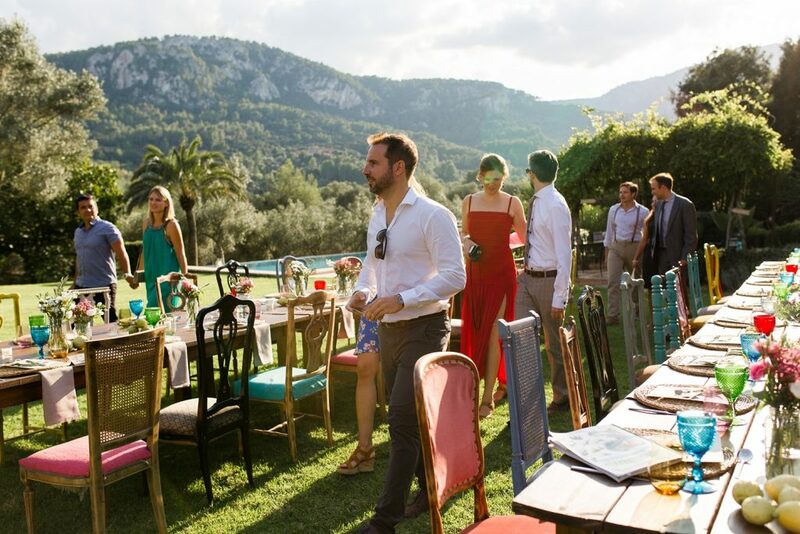 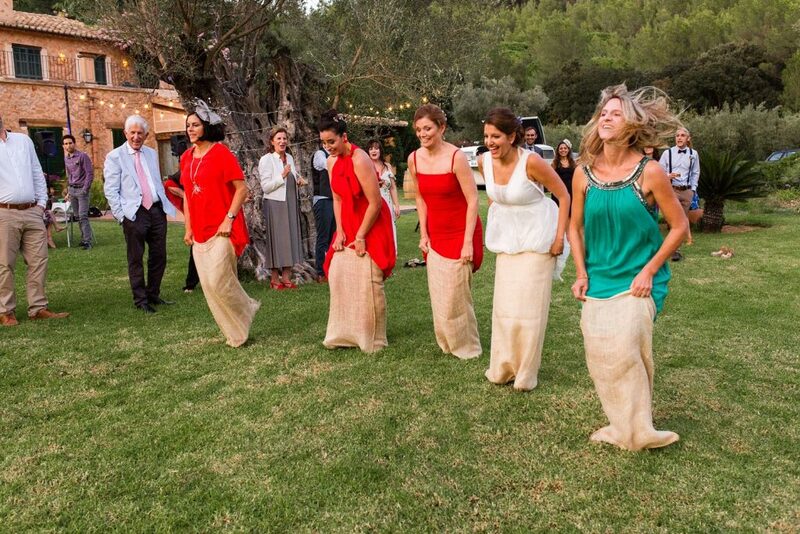 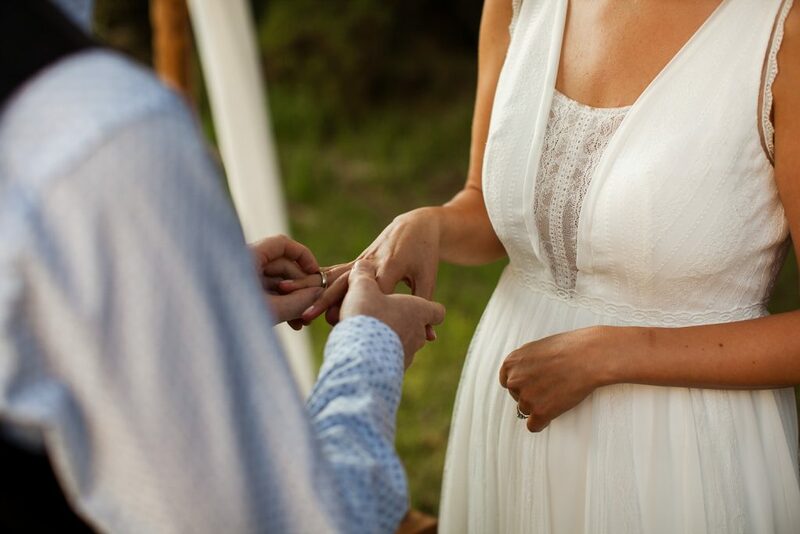 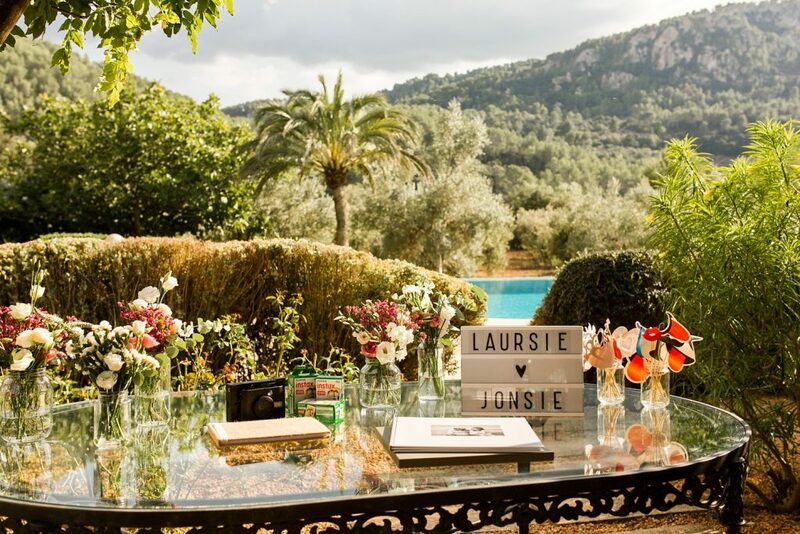 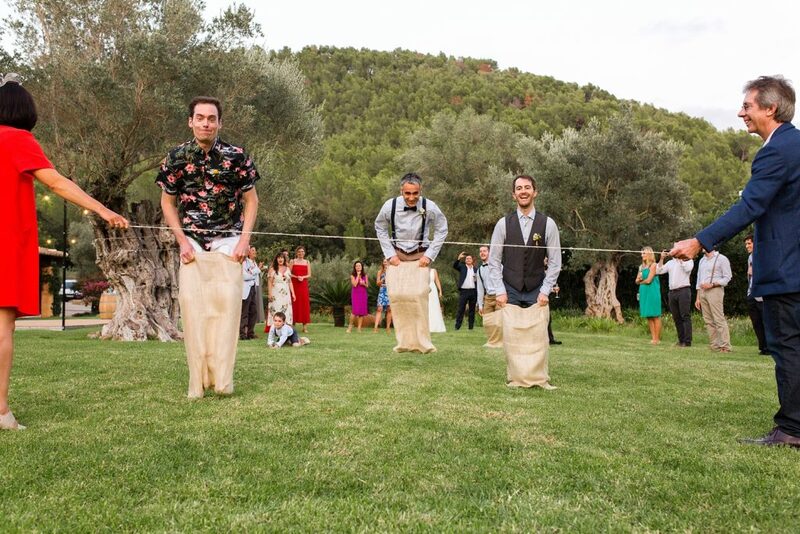 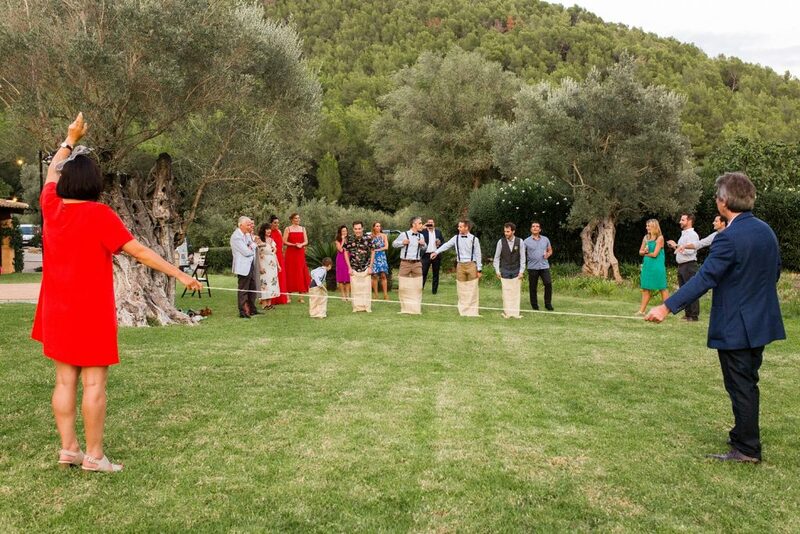 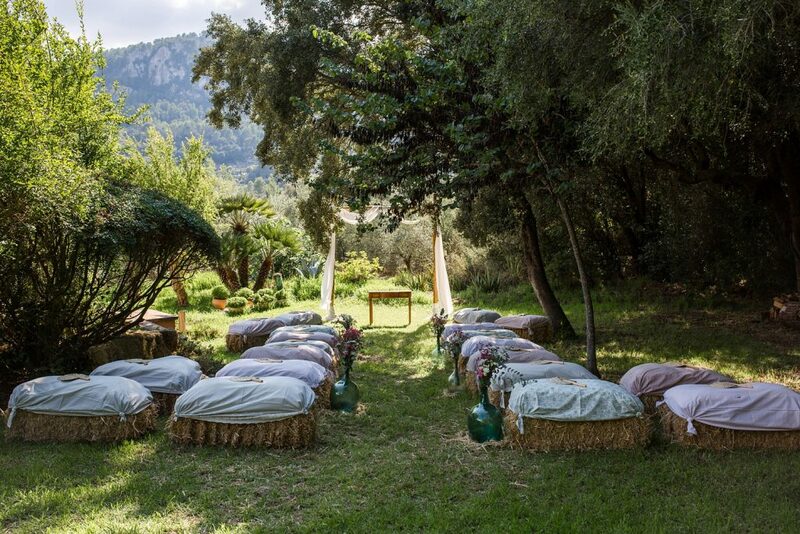 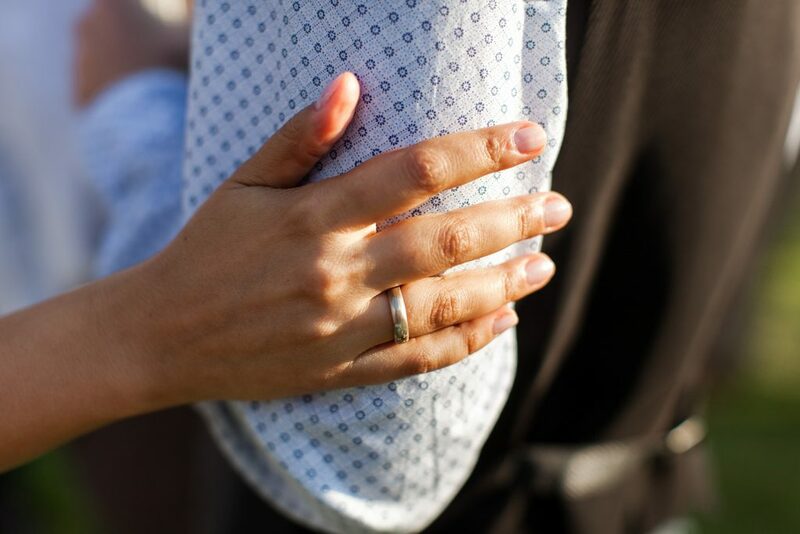 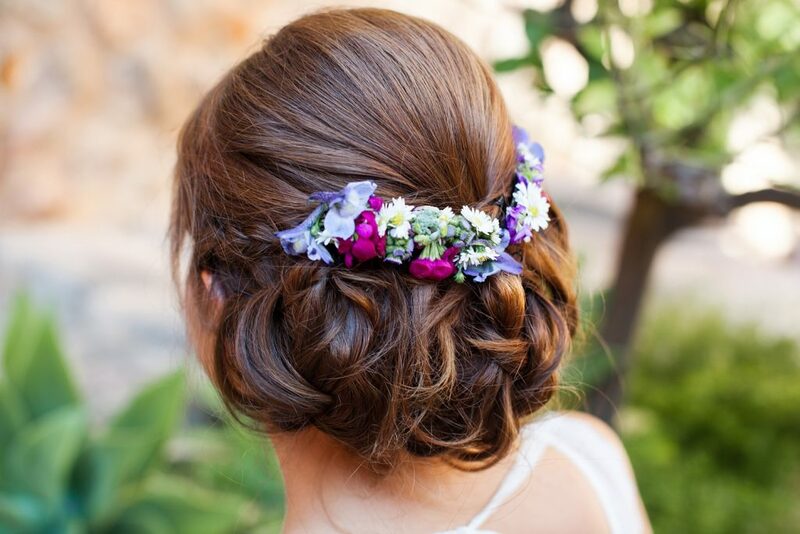 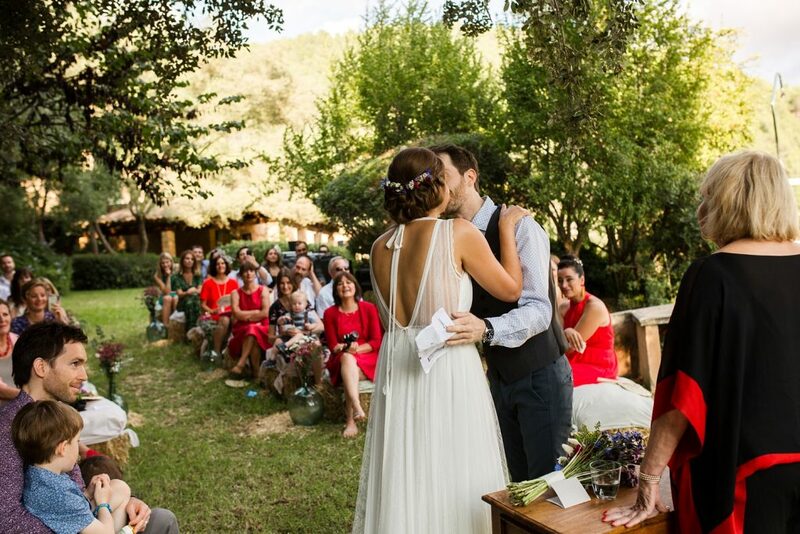 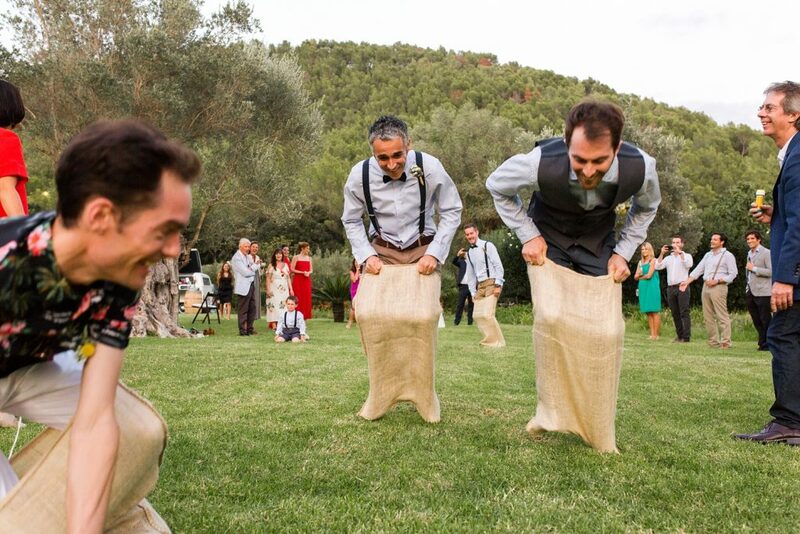 Are you interested in getting married in Mallorca? 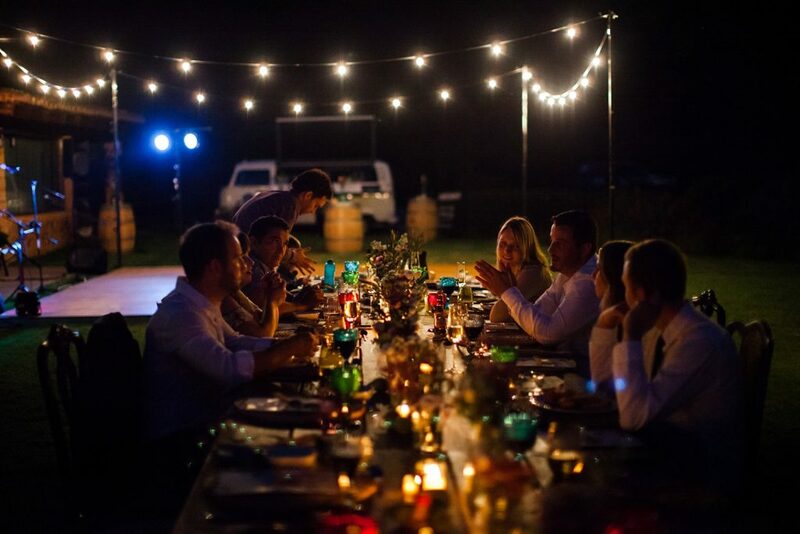 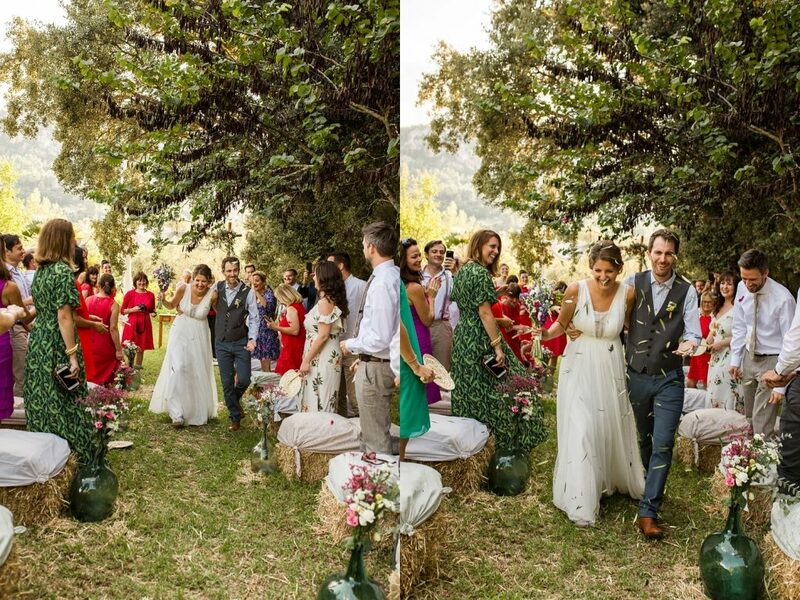 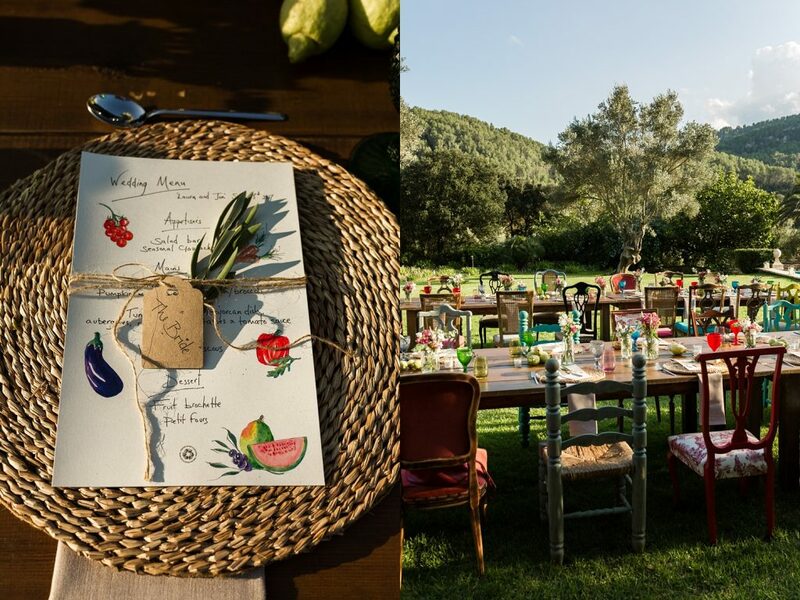 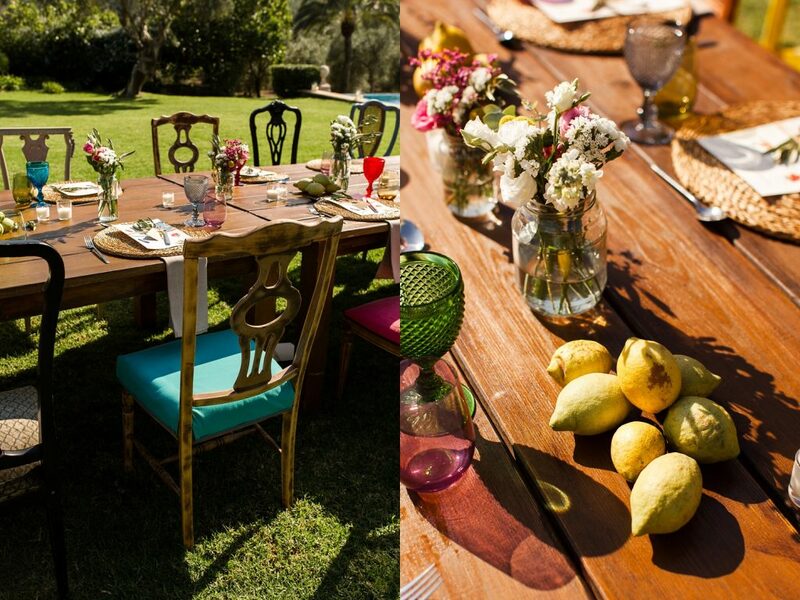 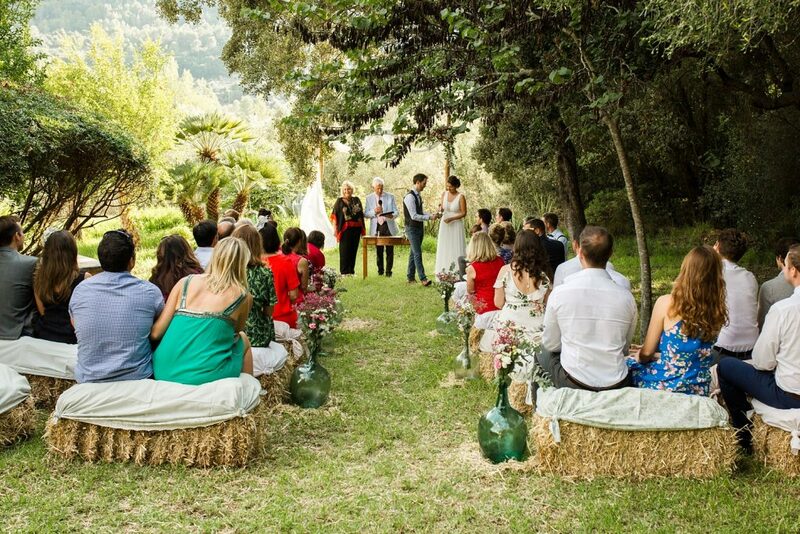 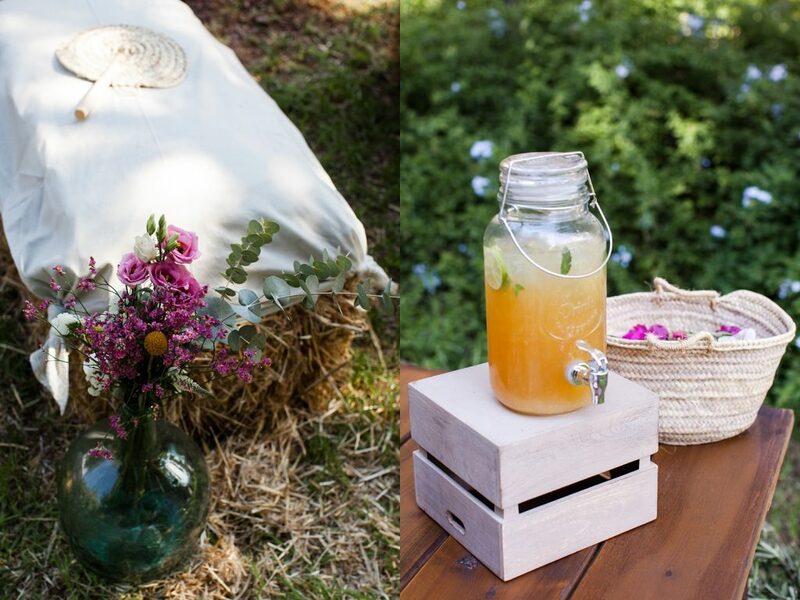 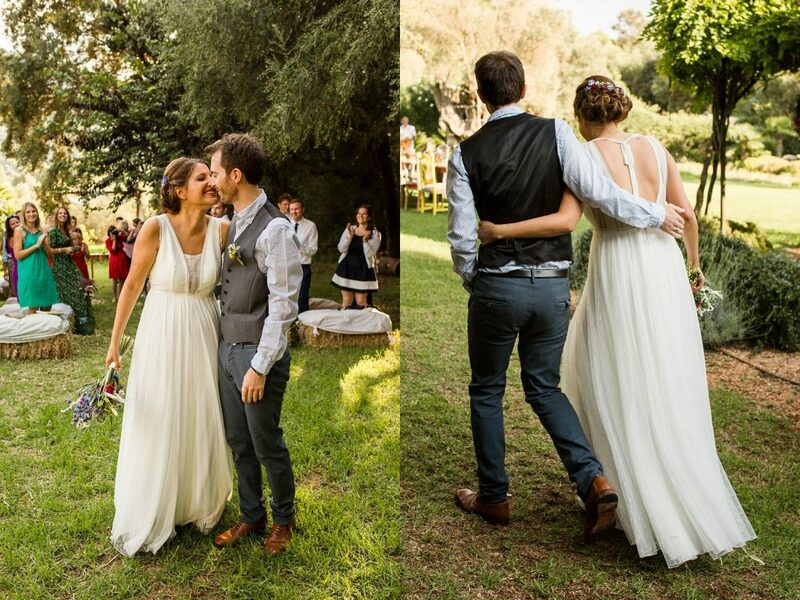 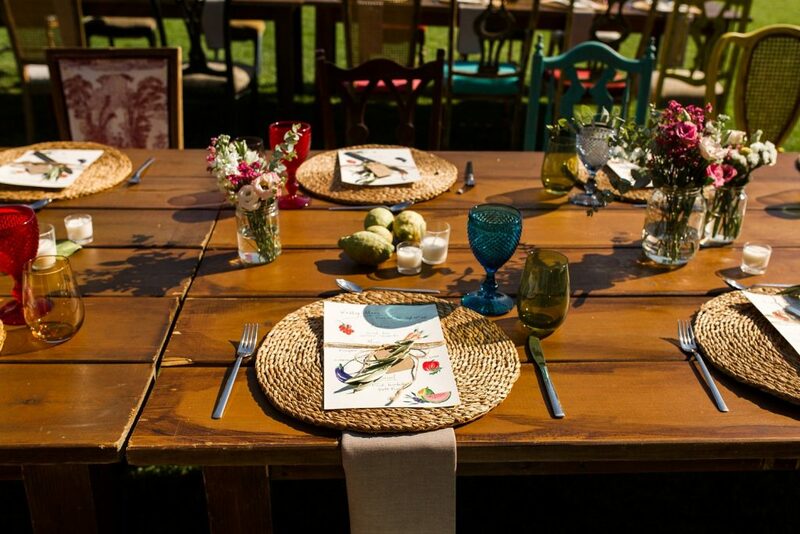 Do you love colour and want an intimate, rustic setting? 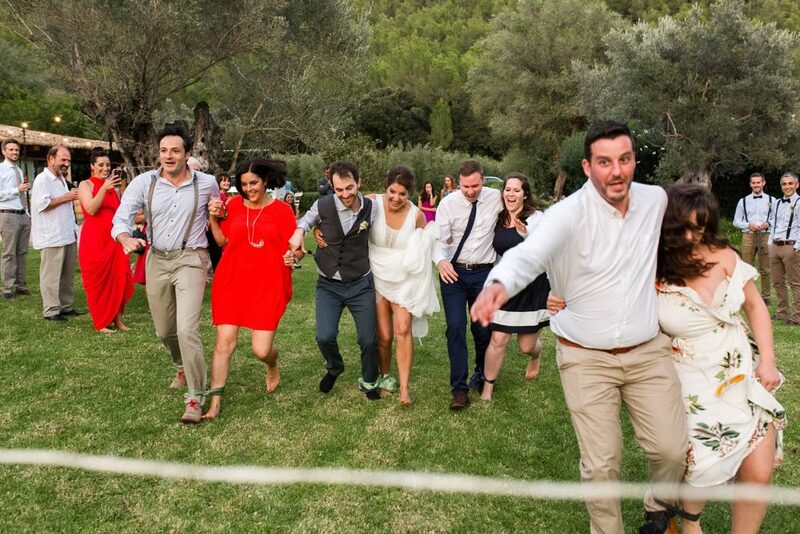 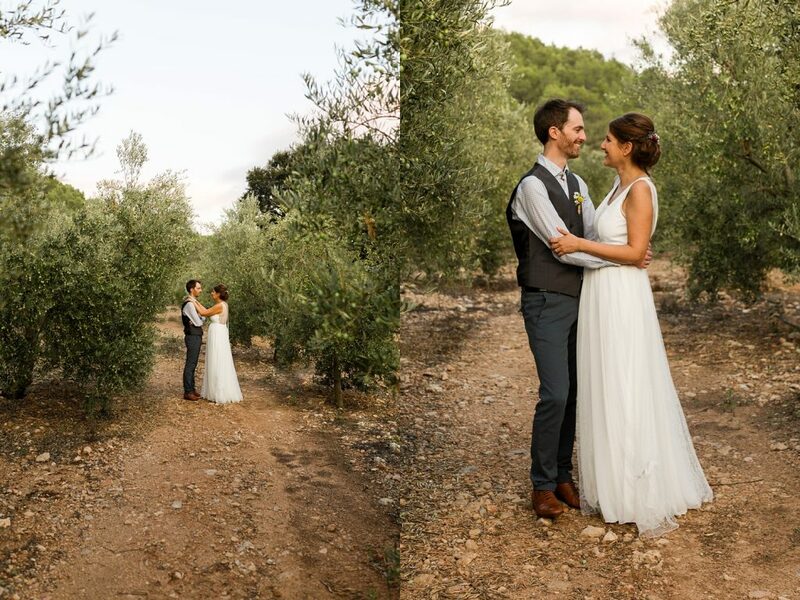 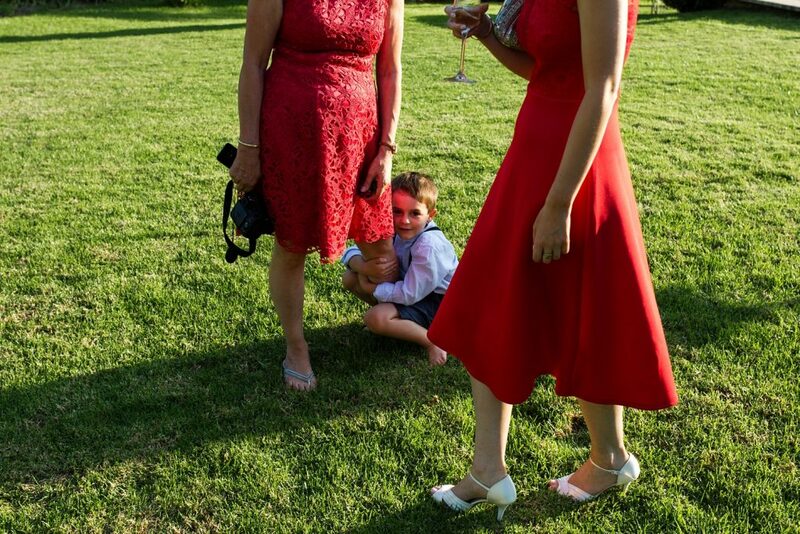 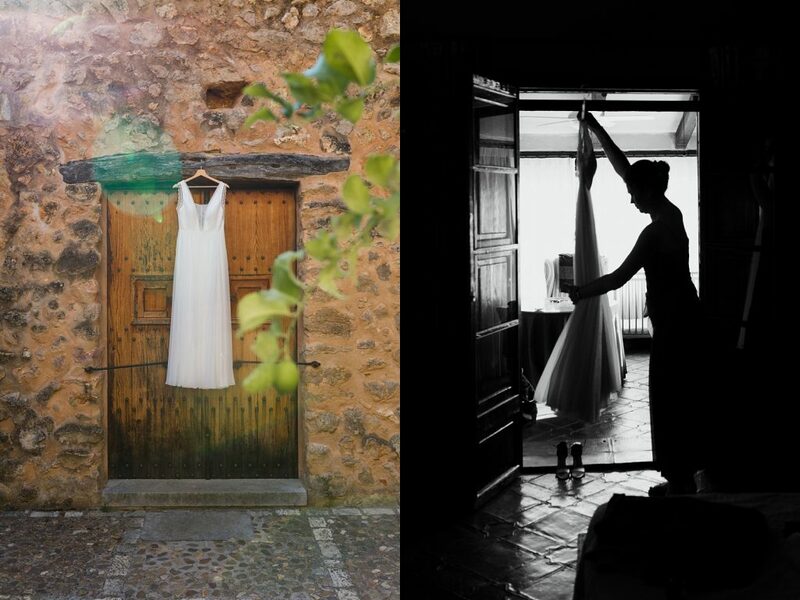 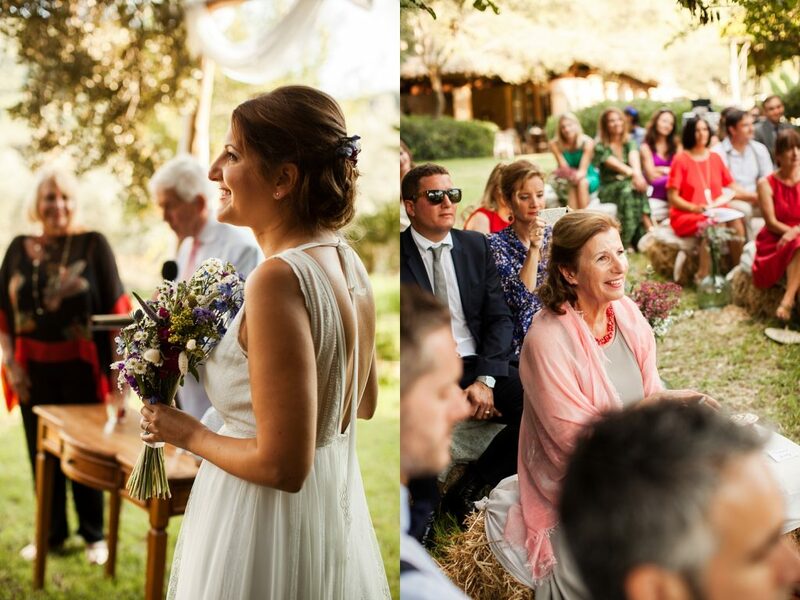 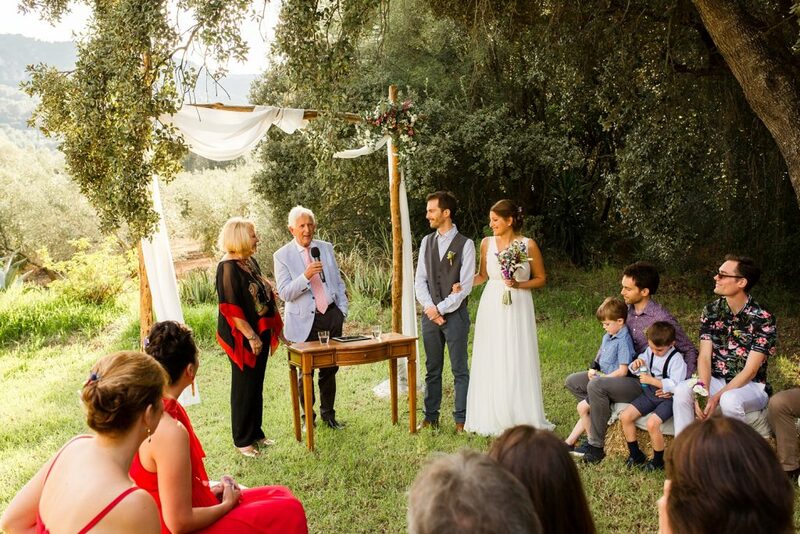 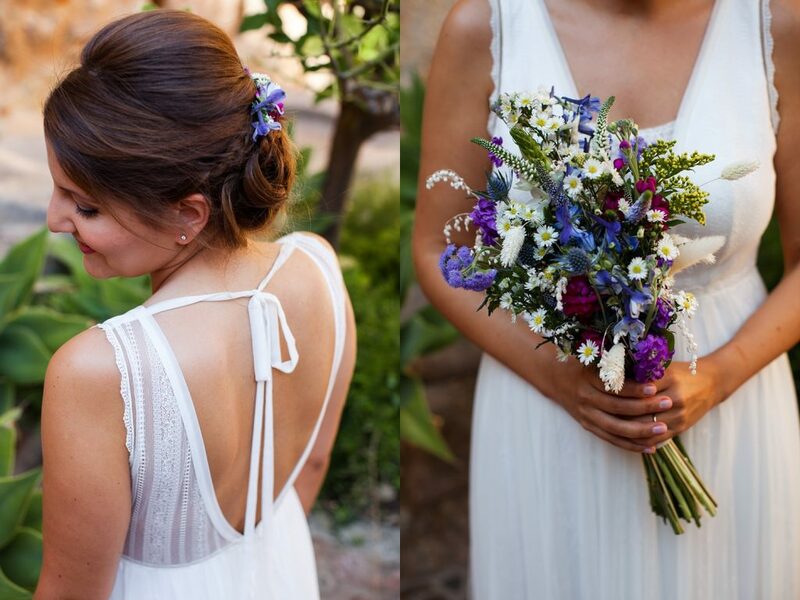 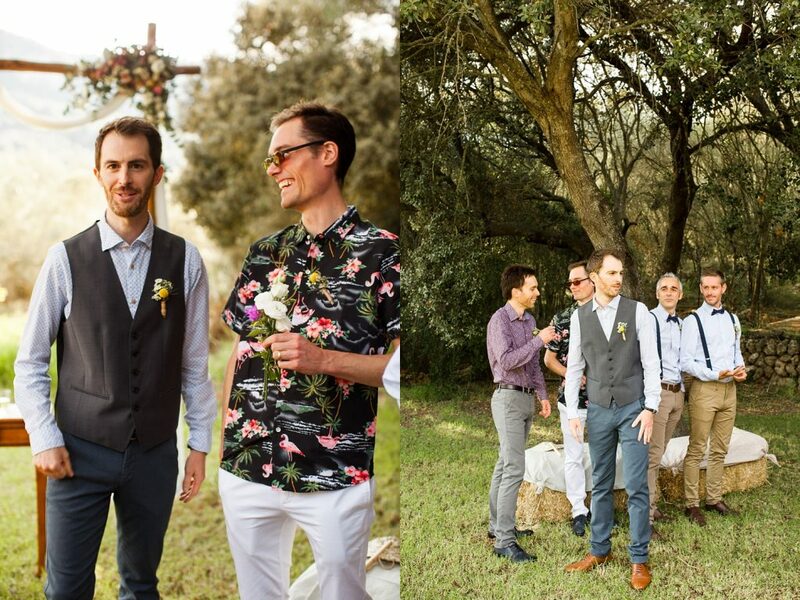 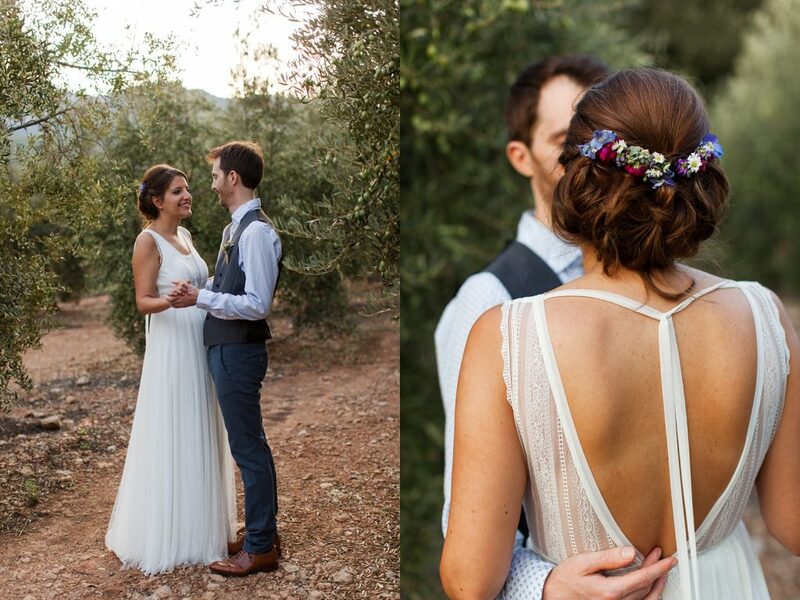 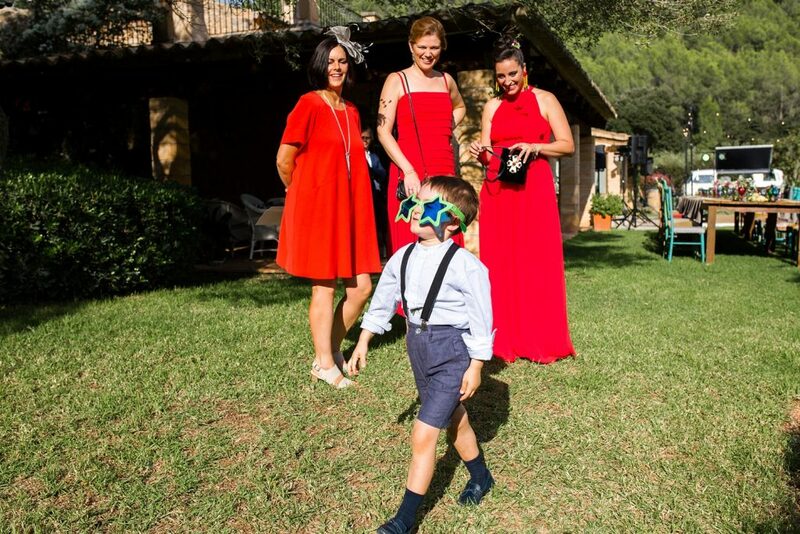 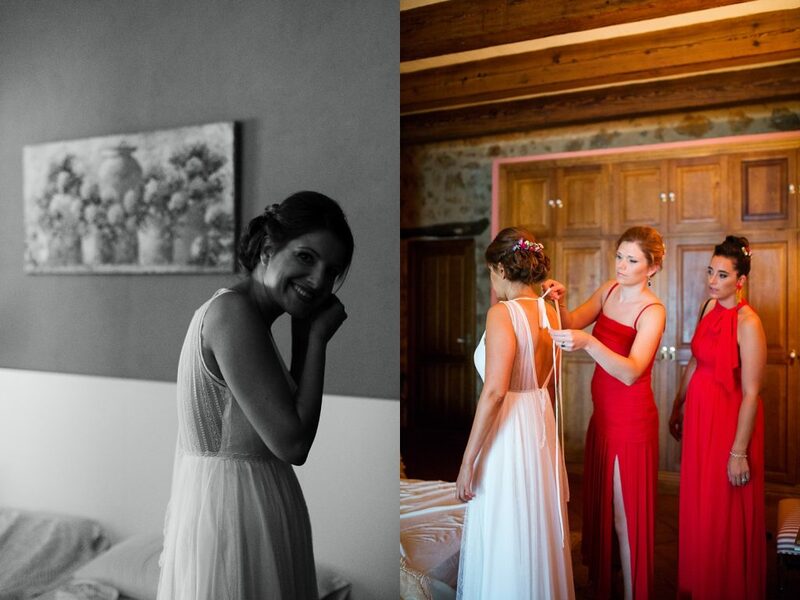 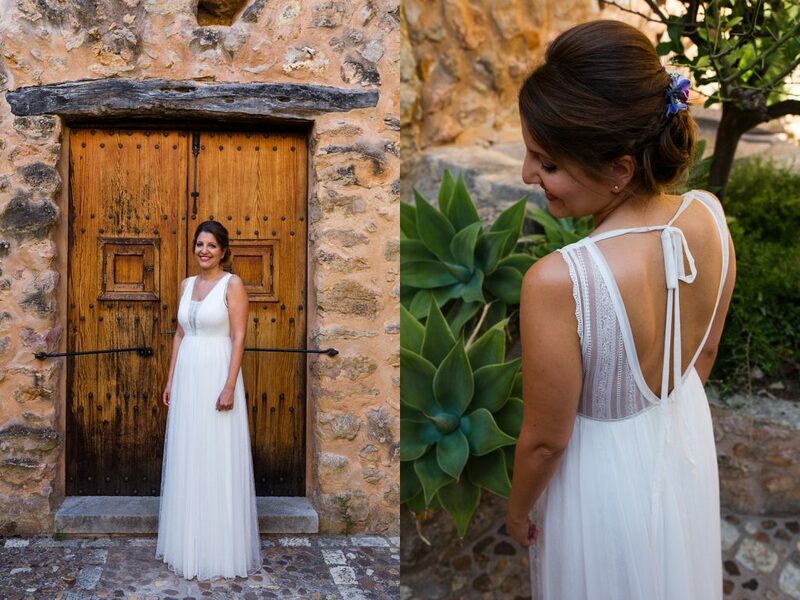 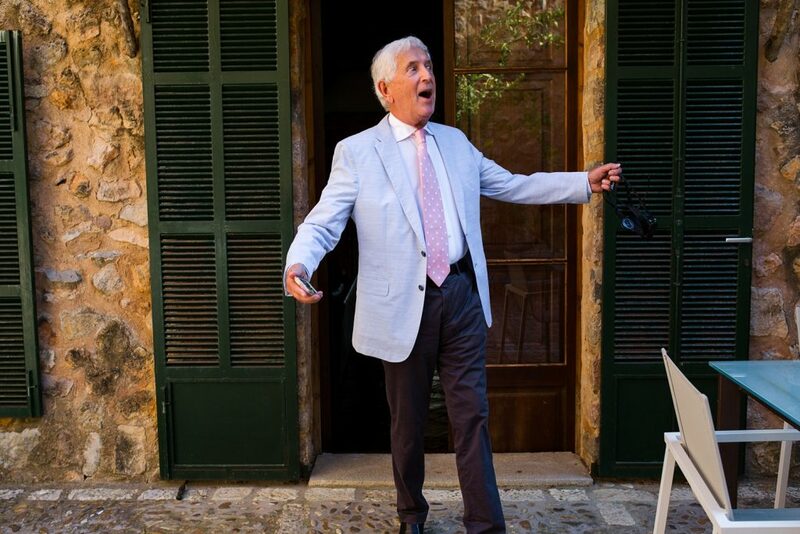 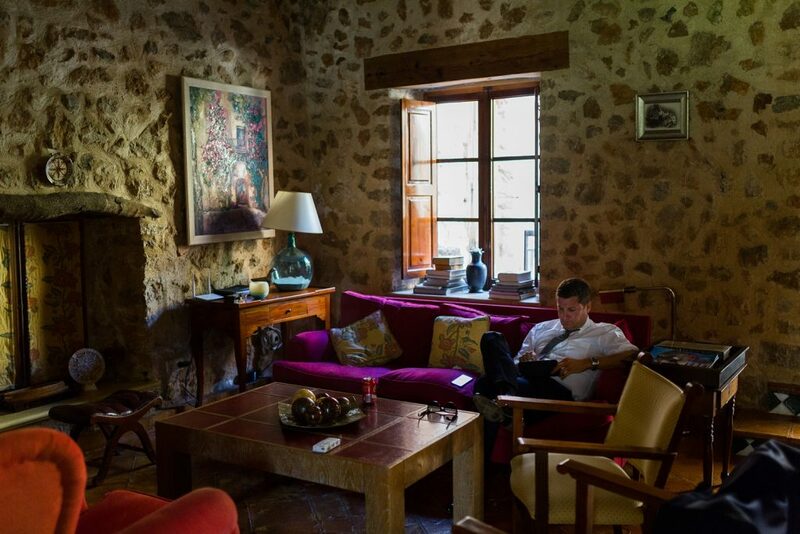 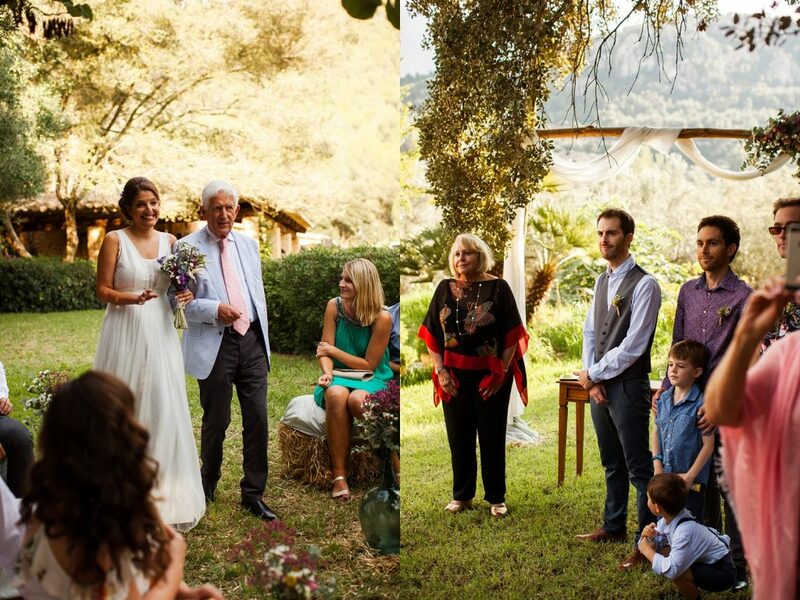 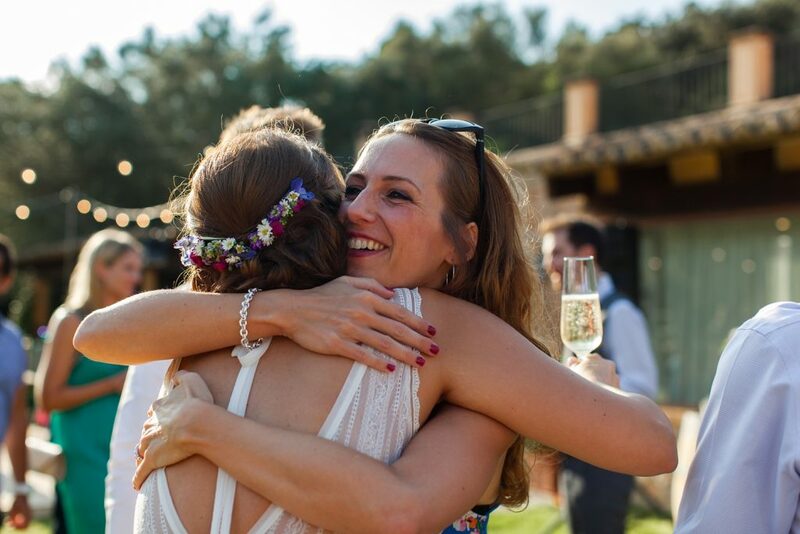 Look no further than the lovely wedding that Laura and Jon created in a private finca in Esporles, Mallorca. 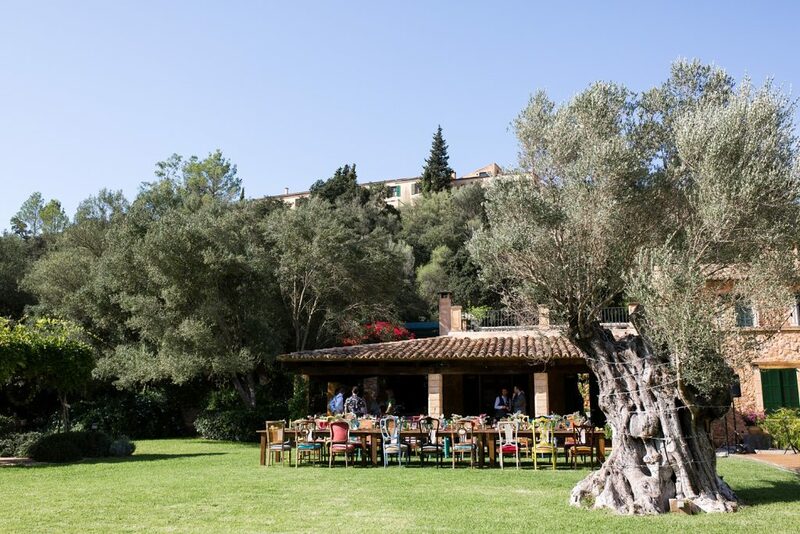 They found Sa Tafona, an old olive press belonging to this beautiful estate, tucked away in the mountains of the Serra de Tramuntana. 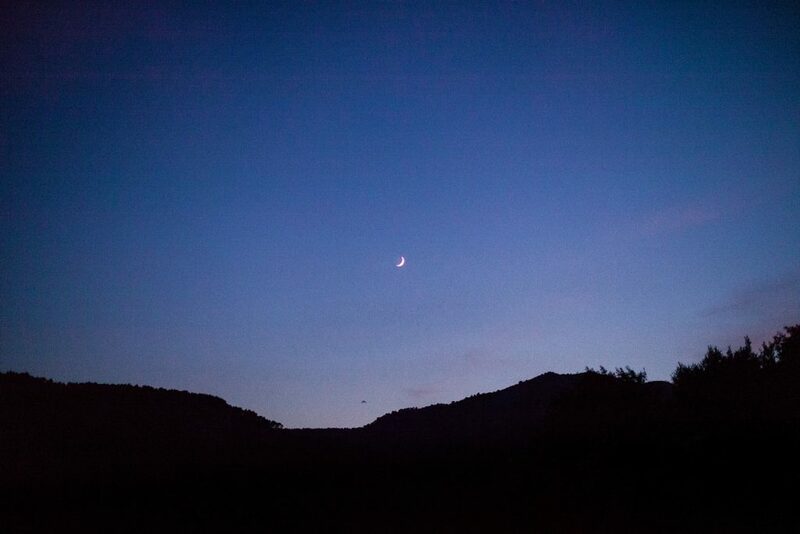 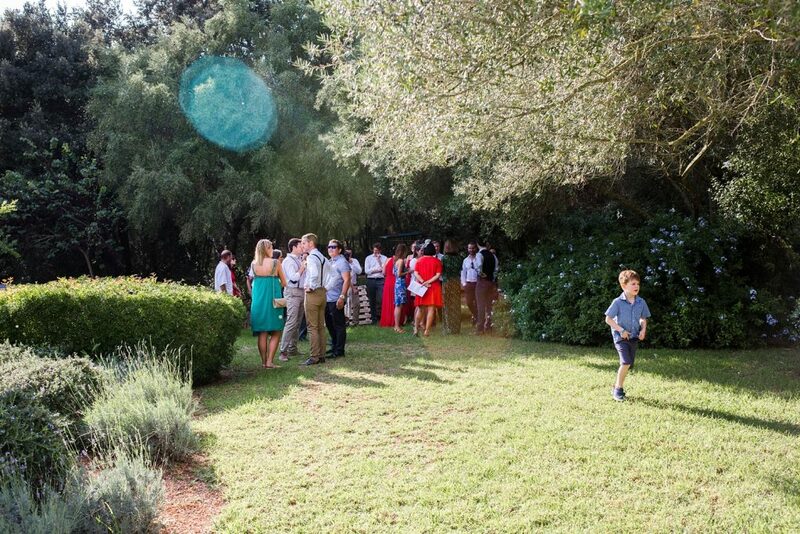 Stunning views, a large lawn, a little wooded area for the ceremony and a swimming pool! 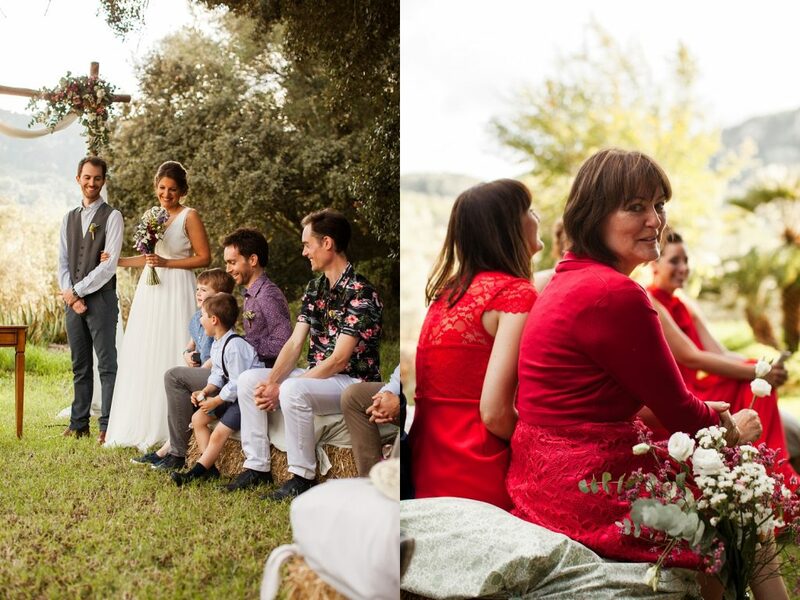 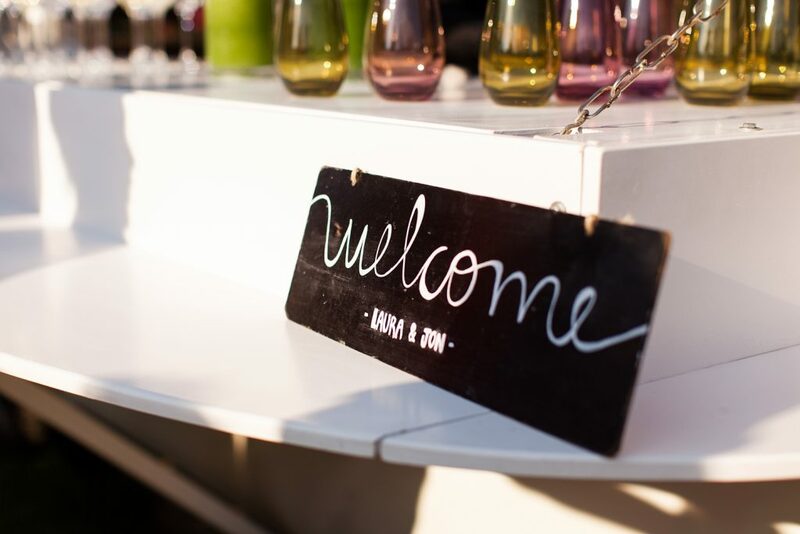 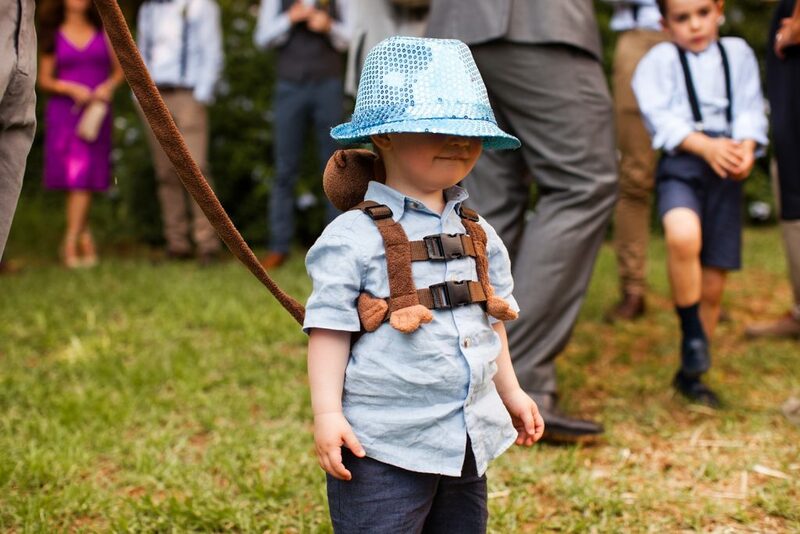 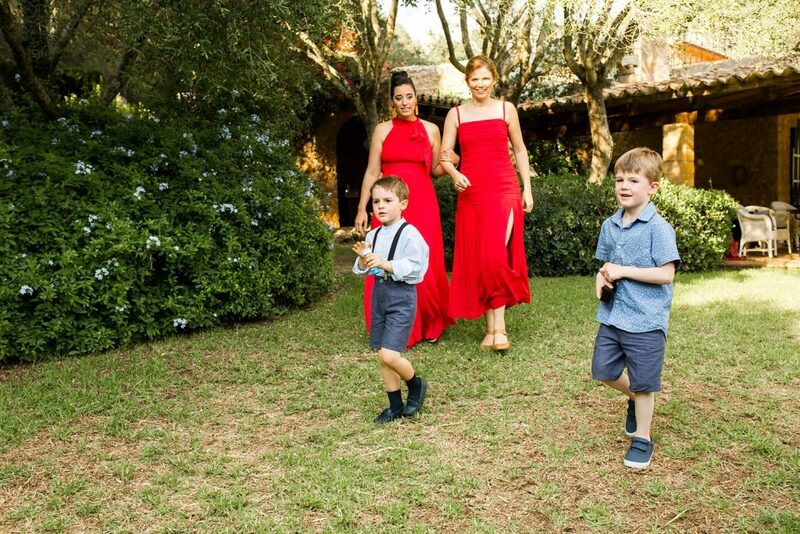 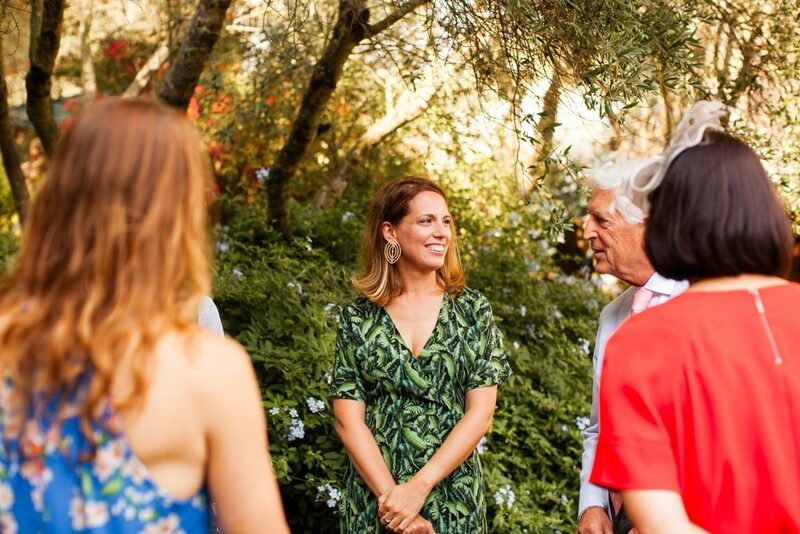 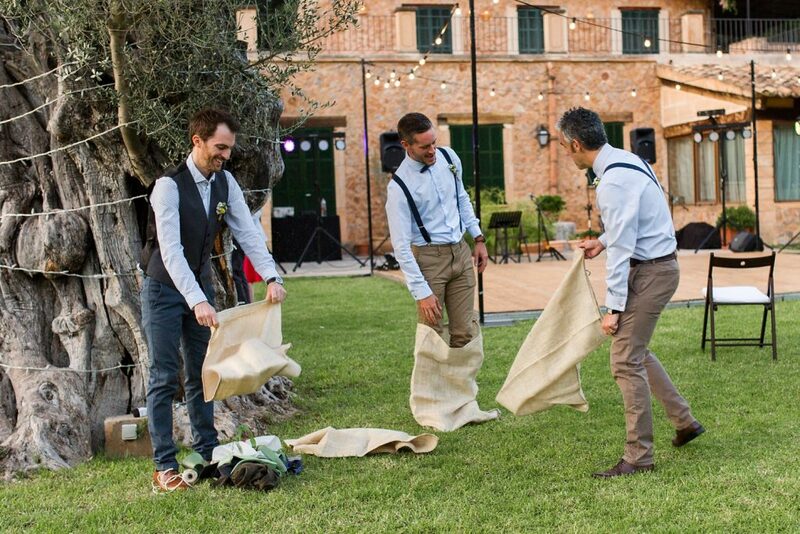 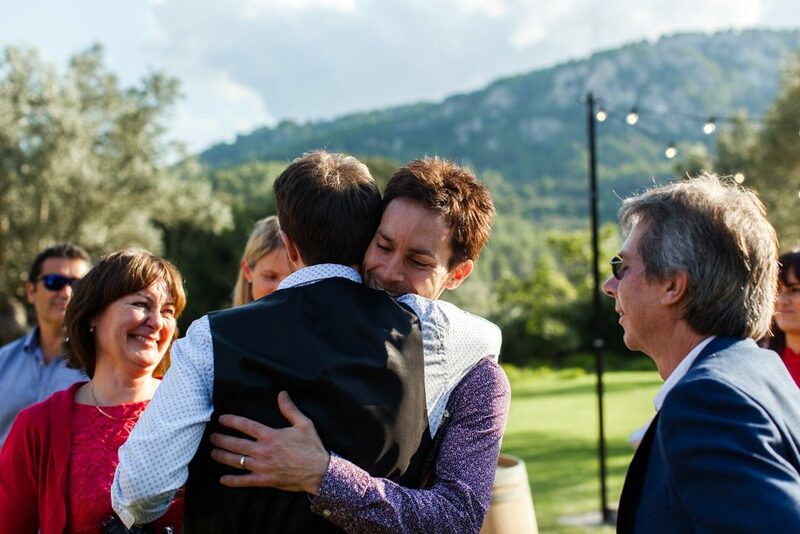 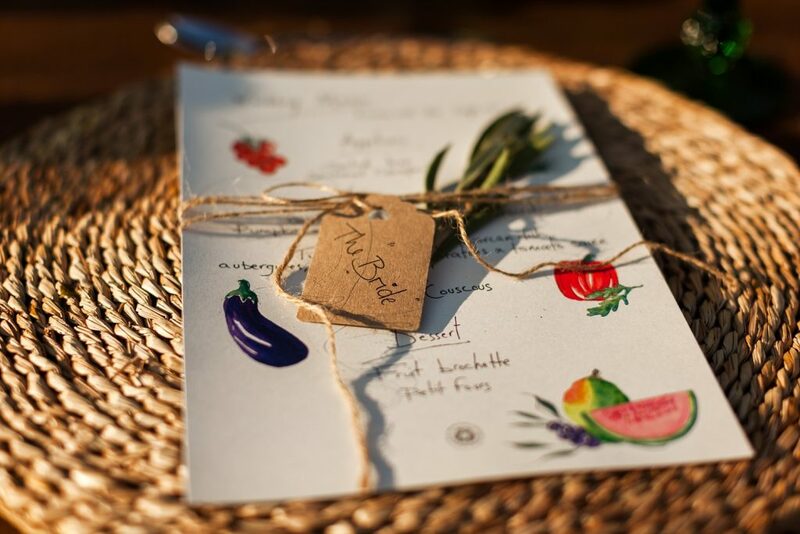 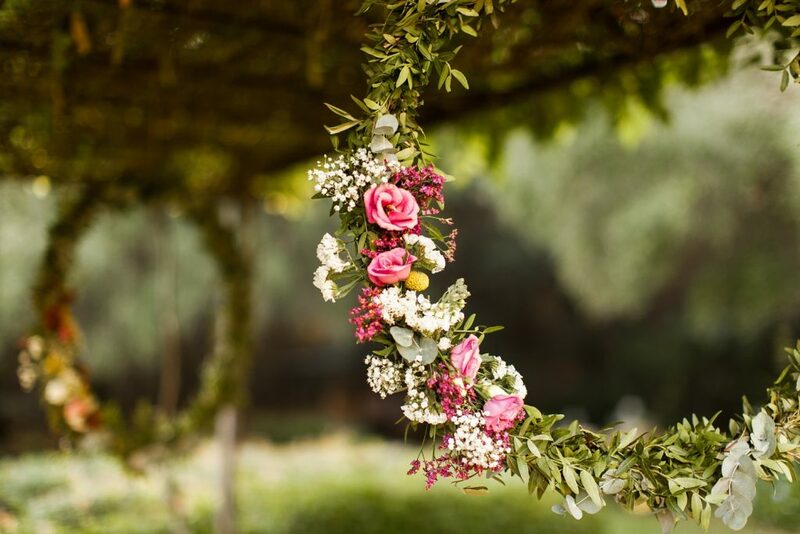 With the help of Moments wedding and event planners, Laura and Jon created a really special wedding day which focused on fun and frivolity for their loved ones. 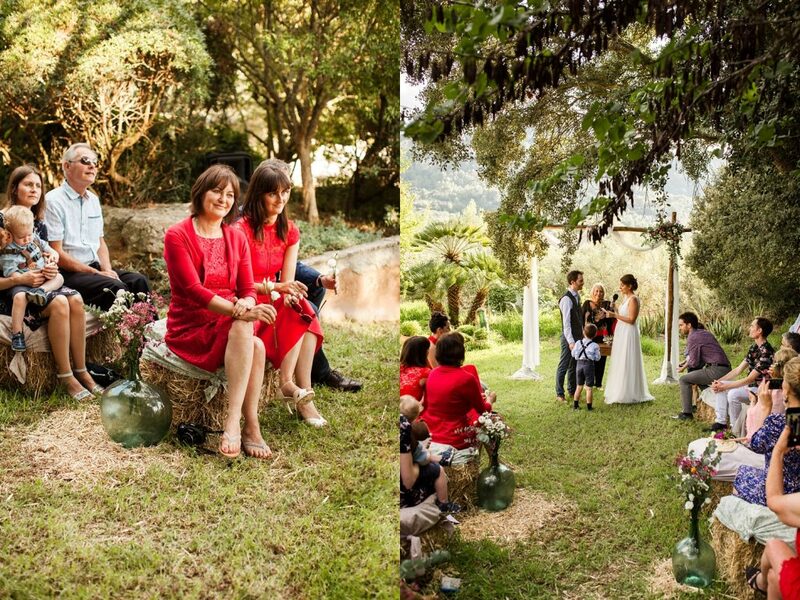 They are a shy couple and wanted their wedding photos to reflect their day without focusing on them too much. 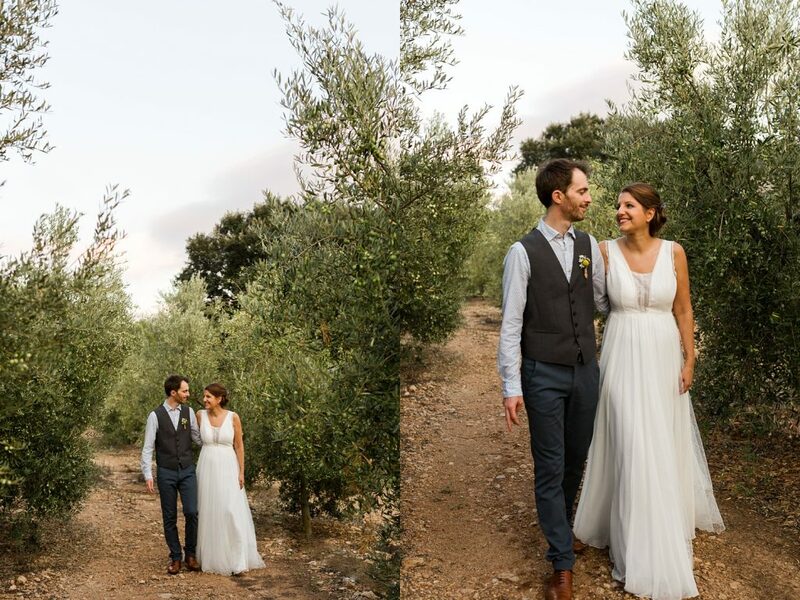 I managed to encourage them to take 5 minutes to walk through the olive trees at sunset to capture some gorgeous portraits. 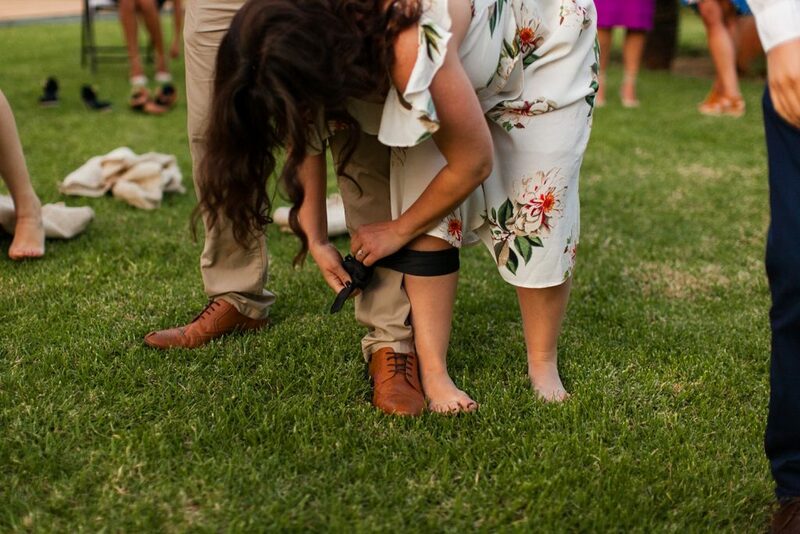 Laura and Jon opted for 4 hours of coverage and you can see from this post that I can still capture a lot of the wedding day even in a shorter time. 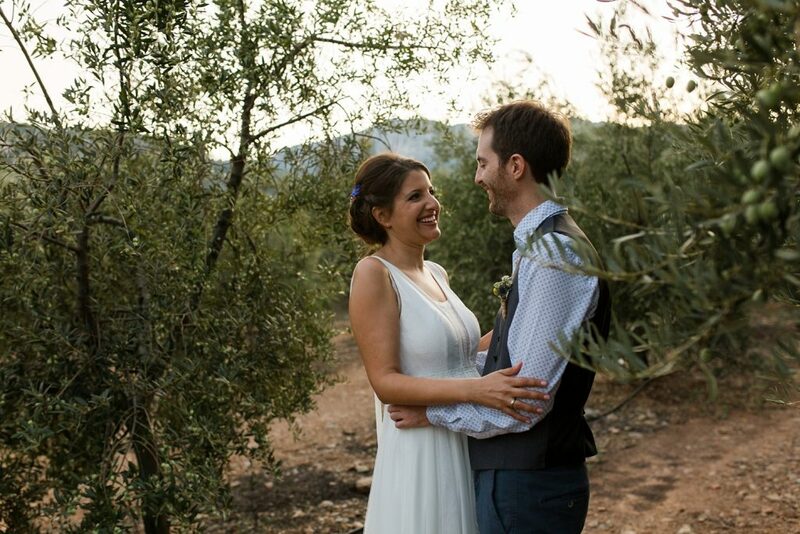 Did you also know that Laura and Jon are vegan? 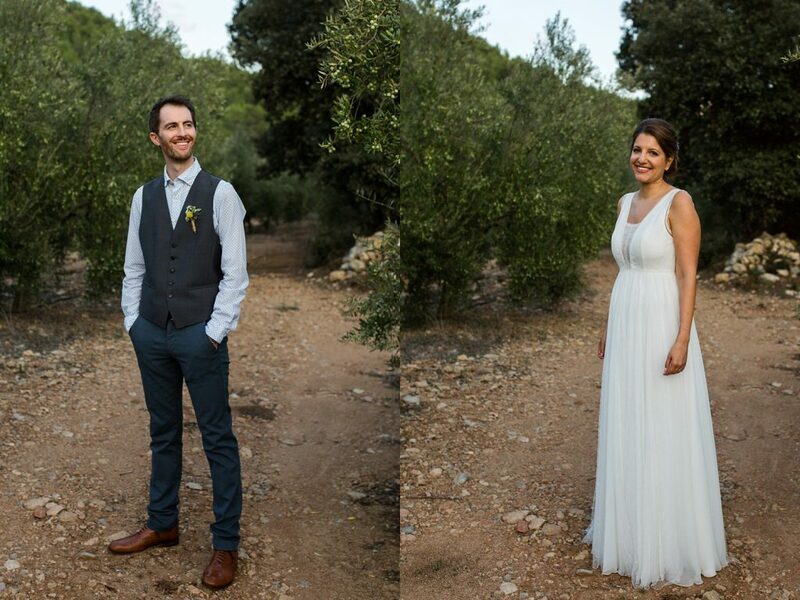 The food at the wedding was mostly vegan and all vegetarian, including their stunning wedding cake (made by Mrs Sweet). 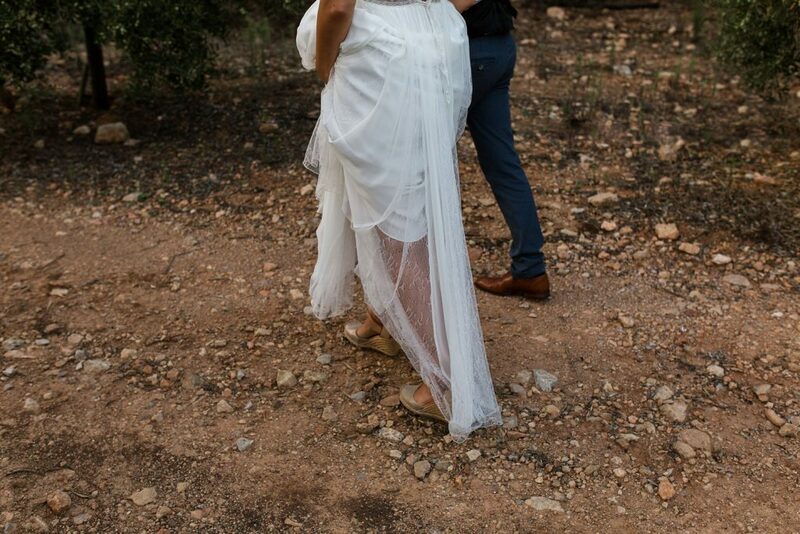 If you’re planning your wedding and looking for a wedding photographer I’d love to hear from you!